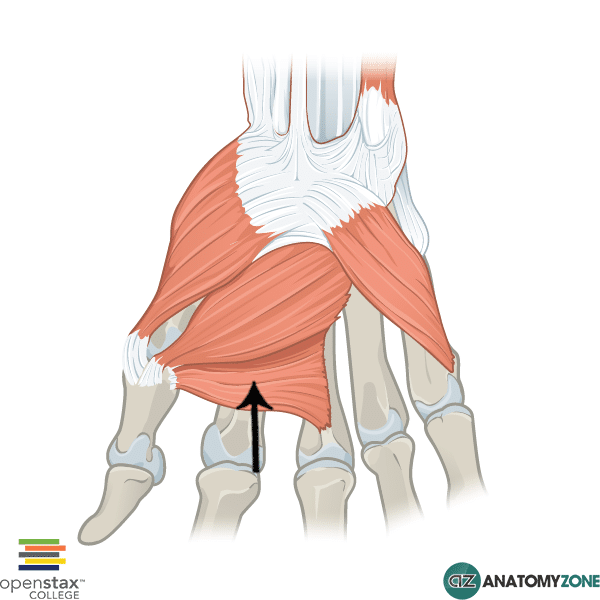 The structure indicated is the adductor pollicis muscle of the hand. 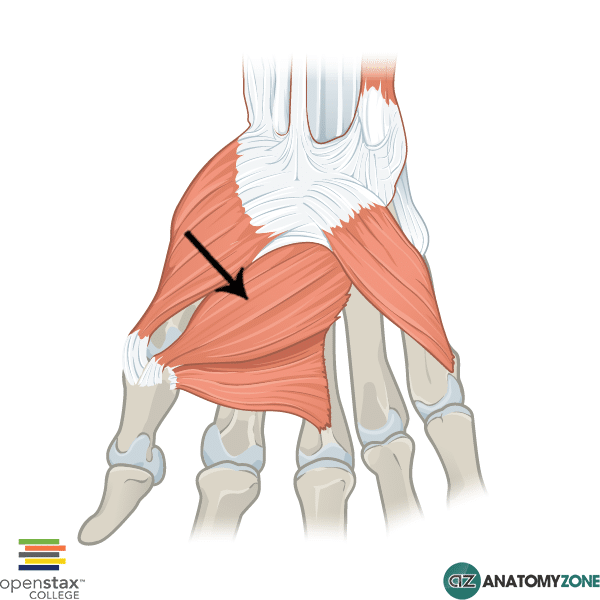 As the name suggests, the adductor pollicis serves as a powerful adductor of the thumb. In addition it also assist in opposing the thumb.